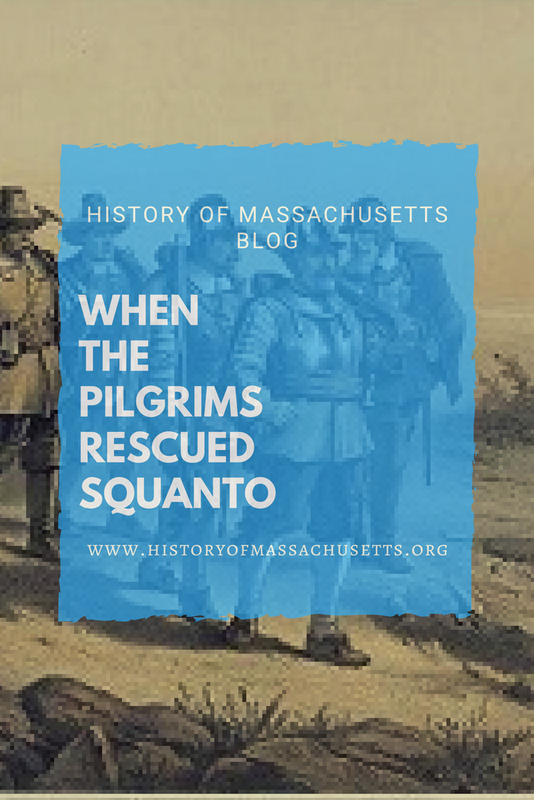 On August 14, 1621, Plymouth colonists embarked on a rescue mission to save Squanto after he had been taken prisoner by a sachem named Corbitant at the nearby village of Nemasket. Corbitant, who was from a neighboring village called Mattapoisett, was visiting Nemasket in an attempt to gain more political power after the temporary capture of the Wampanoag’s king, Massasoit, by a rival tribe. 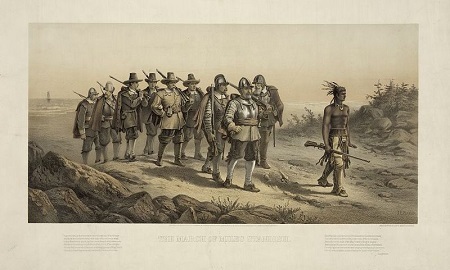 According to the book Mayflower: A Story of Courage, Squanto, who was living with the colonists at the time, went to Nemasket to spy on Corbitant, with his companion Hobbamock, at the request of William Bradford. Bradford feared Corbitant was planning to break the alliance between the colonists and the Wampanoag and attack Plymouth Plantation. Yet according to Bradford’s journal Of Plymouth Plantation, Bradford only states that Squanto and Hobbamock were in Nemasket “upon bussines amonge ye Indeans” and doesn’t mention any plans to spy on Corbitant. Corbitant didn’t trust Squanto because of his friendship with the pilgrims and seized both Squanto and Hobbamock after they entered the village. Hobbamock got away and ran back to Plymouth where he told Bradford of the attack, saying he feared Squanto was dead after he saw one of Corbitant’s men put a knife to his chest. 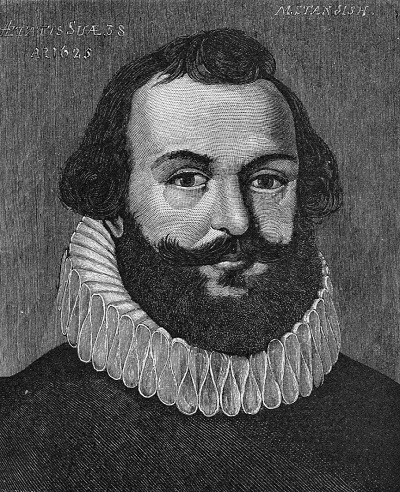 Around midnight on August 14th, Captain Miles Standish and 14 men entered Corbitant’s wigwam at Nemasket but discovered he had gone back to his village. Three members of the tribe were injured trying to escape the wigwam and from them the colonists learned that Squanto was alive and well. After reuniting with Squanto the next day, the colonists headed home to Plymouth along with three injured tribesmen, to dress their wounds. The colonists’s bravery that night won them the respect of the Wampanoag. Corbitant later told the pilgrims he no longer wished them harm and peace between the two sides lasted another fifty years.